The Committee heard oral submissions from Agribusiness South Africa (AgBiz), Grain South Africa (GSA), Professor Elmien du Plessis and the Alliance for Rural Democracy (ARD) in the morning session. Members asked Agribusiness South Africa (AgBiz) what was meant by ‘just compensation’ and ‘striking of a balance’. It asked if Grain SA could distinguish between the right to title deeds and the right to property. It asked Grain SA if it had stated 70% of black grain farmers had not received commercial support from the financial sector due to the lack of title deeds and lack of infrastructure such as roads. It challenged Grain SA not wanting to change the status quo due to food security concerns, as many South Africans were currently hungry on a daily basis. Members asked Prof du Plessis if Parliament should refer section 25 to the Constitutional Court to establish if it already allows expropriation without compensation. Members asked her views on the interests of the dispossessed versus the dispossessor; how she justified ‘just and equitable’; had her doctoral research included the land ownership audit in 2008 and what was her opinion on the land ownership audit. Members asked ARD if it supported expropriation without compensation (EWC); what it meant that EWC had to be done only in the public interest. In the afternoon session, the Committee received submissions from Land and Accountability Research Centre (LARC); Faculty of Law, University of Stellenbosch; Institute for Poverty, Land and Agrarian Studies (PLAAS); Congress of South African Trade Unions (COSATU); Hope of Glory Tabernacle Church (HGTC) and Phuhlisani NPC. LARC stated that the proposed amendment of section 25 would not adequately deal with structural and systemic problems already identified in land reform. Further, the amendment could adversely affect many of the positive strides provided for in the Constitution such as the rights to redistribution, restitution and tenure reform. LARC had researched the dispossession and threats of dispossession currently faced by many poor black people in the former homelands. Land was already being expropriated without compensation as it was being confiscated from people in the former homelands and the only defence people had against this dispossession was section 25. South Africa’s history of black people having their land rights held in trust for them and being prevented from holding them in their own right did not bring about equitable access to land but rather entrenched SA’s colonial and apartheid history. Any land reform programme, including EWC, which did not vest land rights in the people that actually used and occupied the land failed to give effect to the Constitution. LARC stated that the ‘just and equitable’ provision meant that in certain circumstances, there would be zero compensation. Therefore, there was no need to amend section 25. Section 25 already empowered and gave government a lot of room to effect justice and equity in land reform. The factors provided for in section 25 were not exhaustive and the section 36 limitation clause limited the rights to property according to a law of general application. Therefore Parliament had to pass a law on how government would use the powers provided for in section 25. Stellenbosch University Law Faculty was against the amending of Section 25 as it would require a redesign of the Constitution. It argued that amending sections 25(2) and/or (3) would not be enough as a property owner could still rely on section 25(1) to attack a complete extinguishing of rights to land without some type of compensation. Therefore to permit EWC would also require an amendment of section 25(1) of the Constitution. Where 25(1), (2), (3) and (8) were amended to permit EWC in the public interest that would raise conceptual difficulties for expropriation of other property including movable property like farm equipment and vehicles, and intangible property such as licences. Any amendment within the parameters of the motion to EWC land would inevitably differentiate between the expropriation of land in the public interest on one hand and expropriation of property for public purposes on the other. Such differentiation could offend foundational rights such as human dignity, equality and the rule of law and would be invalid. Any violations that offend those rights would not be justifiable in terms of section 36 of the Constitution. Therefore any amendment of section 25 for EWC of land would firstly require an amendment of the foundational values in section 1 of the SA Constitution; secondly other rights in the Constitution such as the right to adequate housing, just administrative action and, thirdly, the general limitations clause, in the Bill of Rights. • The state had to use its power to expropriate property for land reform. Any expropriation authorised for those purposes would be constitutionally valid as it would comply with the requirements set out in section 25(2). • The complaint against compensation not being what the property owner would have liked it to be did not detract from the validity of an expropriation. The validity of an expropriation did not depend on the compensation offered, but solely on whether the expropriation was authorised within legislation and whether it took place in the public interest, in which case land reform would be. • It would also need to be clear to administrators that the compensation standard would not be market value but justice and equity. • Legislation had to be promulgated that would detail how compensation had to be calculated with reference to the factors set out in the Constitution. Phuhlisani NPC did not believe that success of land reform or land inequality redress would be solved by amending the Constitution. The Constitution already had sufficient transformative power to do that as it is, but what was lacking was the political will, the budget investment, capacity and systems to make land reform work. The High Level Panel process had been the most thorough going analysis of the land reform challenges ever. The HLP Report was comprehensive with detailed recommendations and draft legislation proposals. It required Parliament to engage with the report and think carefully about what needed to be done if the recommendations were to be implemented. The conversation about EWC for land reform was a simplification of a whole set of complex issues. There was land legislation that remained not promulgated and implemented. PLAAS said the past 24 years’ track record for land reform had been very disappointing and that had not been the fault of the Constitution but political failure on a grand scale. Although the public hearings were welcomed, it had asked the wrong question to the wrong people. Instead of asking government why it had not used the Constitution, ordinary people had been asked if the Constitution needed changing. Section 25 had been forged by the ANC specifically as a mandate for transformation and never about providing blanket protection for private property rights. There was a clear mandate for land redistribution, tenure reform and restitution and a section 25(8) override clause which stipulated that no measure in section 25 may impede the state from taking legislative and other measures to achieve land reform to redress the past racial discrimination. It also had never required market related compensation. All that had been required had been a case by case expropriation with all the provisions under section 25 being fulfilled. EWC for land reform had simply never been used before and that meant land restitution claimants to date had had their interests trumped by private land owners. That was contrary to the constitutional imperative as government had to protect the interests of the dispossessed as per section 25. 1. State custodianship of all land was not contrary to the Constitution and all land could be vested with government without changing the Constitution. 2. EWC for land reform in all cases meant black rich and poor people would be treated equally. To do that would require much constitutional amendment as it would require removing 25(2) and (3) and changing "no law may permit arbitrary deprivation of property" in section 25(1). It was challenging as to how that would pass constitutional muster as it would violate section 1 and 36 of the Constitution and would require 75% of the National Assembly to vote in favour of it. 3. EWC for land reform in some cases. The requirement of ‘just and equitable’ compensation in the Constitution had never been tested in the courts. Constitutional experts had argued that government could pay close to zero compensation as long as it was just and equitable to do so. Doing all that would need an amended Expropriation Bill to return to Parliament with clear policy, regulations and test cases to clarify what would be the compensation regime. No constitutional amendment was required for all of that to occur. 4. EWC for land reform in some cases with clarificatory amendment of section 25. It could be possible to amend the section 25(8) override clause that the compensation requirement could not impede government by adding ‘including compensation’. It did not resolve any practical problem but did send a political signal. The PLAAS view was that there was no need for a constitutional amendment legally but politically the debate had been opened up and had been deeply racialised and polarised. PLAAS was proposing either Scenario 3 be adopted so jurisprudence could be developed around that or Scenario 4 if there was a political need for a clarificatory amendment in section 25(8). COSATU supported EWC for land reform. Landlessness was such a crisis that there were more than three million families living in informal settlements in urban areas. COSATU supported the Expropriation Bill as it was going to provide flesh to the constitutional mandate. If government was serious about land reform COSATU expected movement across the spectrum of related delayed land reform legislation. The submission outlined which instances COSATU supported EWC and for what purposes. COSATU supported the ANC position of EWC for land reform although it was not giving government a blank cheque as most expropriation cases were about expanding freeways and power stations. In such cases COSATU would expect people whose property would be expropriated to receive compensation. HGTC agreed there was an urgent need for an orderly legal land reform process to redress past land dispossession. It did not agree with EWC for land reform by amending section 25. Attempts to correct past injustices with EWC were tantamount to rectifying a wrong with another wrong. There were about 4000 farms in government hands but full ownership of these farms had not been handed over to emerging farmers. Both the ANC and EFF repeatedly claimed that expropriated land would be returned to the people without actually defining who the ‘people’ were. It was misleading that EWC would result in land being owned by the state and not individual black South Africans who were being made to believe otherwise. The ANC policy was to keep land in state ownership as a patronage tool. • How EWC of land was possible in section 25(3) when section 25(1) prohibited EWC. • Was there legal certainty to proceed with EWC for land reform without amending section 25. • How amending section 25 would increase land invasions. Mr L Nzimande (ANC), Co-Chairperson, welcomed everyone and said that he would be facilitating the oral submissions process as Co-Chairperson Smith would be attending to other business. The oral presentation session was provided for under sections 59(1)(a) and 72(1)(a) of the Constitution. Thirty submissions would be heard out of the thousands that had been submitted before the 15 June deadline. The public hearings in Parliament were of the same weight as those undertaken in the provinces. He appealed to Members to ask only clarity seeking questions and to note matters for future deliberation by the Committee. The Management Committee (MANCO) had not completed identifying stakeholders that could still present their submission orally as the process of going through the written submissions was not yet complete. If Members had no question and understood the submission, it would assist if they did not delay the session. Mr Francois Strydom, AgBiz Chairperson, introduced his delegation, noting that agribusiness was the food value chain beyond the primary production sector. Mr Theo Boshoff, AgBiz Head: Legal Intelligence, said the focus of AgBiz was on the long-term sustainability of the agro-food system. It was a moral imperative that the sector engages on transformation of its system. The current exposure towards the agricultural sector of commercial banks, including Land Bank, was estimated at R197 billion of which two thirds was collateralised using the value of the land. AgBiz supported the recommendations made by the High Level Panel on the Assessment of Key Legislation and the Acceleration of Fundamental Change. It suggested the land audit could be better utilised with an overlay in an electronic database showing land ownership, water rights and mining rights. That would improve the process of land distribution in terms of monitoring and evaluation. Mr M Filtane (UDM) asked if AgBiz meant that the availability of finance had to be limited only to a few whilst millions of South Africans were starving within the status quo. Mr Wandile Sihlobo, AgBiz Economist, replied that that was not the intended meaning but rather that EWC could have the effect of limiting finance in terms of property rights. Strong property rights attracted investment and, with investment, that would grow the economy and increase productivity. Ms S Swart (ACDP) asked AgBiz to clarify its understanding of section 25 of the Constitution, specifically on the compensation or lack thereof for land expropriation and if there was a need to amend that section. The Chairperson ruled out the question, noting that it was a leading and argumentative question instead of being clarity seeking. Ms T Mokwele (EFF: North West) said that Mr Swart’s question was exactly why she preferred that the Committee simply receive oral submissions. They should keep to the Chairperson’s brief that Members note for themselves matters of interest for future deliberation by the Committee, especially since such an opportunity to seek clarity had not been extended in the provincial public hearings. Ms D Carter (Cope) said the invitation sent to stakeholders to give an oral submission had said that Parliament would interact with their submissions. Therefore the Committee had to be allowed to seek clarity as the Chairperson had outlined earlier. It could not be that if the EFF felt it needed no clarity, other Members should not be allowed to seek clarity. Mr Swart rephrased his question and said that he needed clarity on what AgBiz meant by ‘just compensation’ in terms of the current wording of section 25. Mr Boshoff replied that AgBiz noted that section 25 made provision for ‘just and equitable compensation’ and by that AgBiz understood that the courts would have to weigh the interests of the public against the interests of an individual. Given the circumstances that could be at play, including the specific history of a property; it could not be discounted that ‘just and equitable’ could mean zero compensation. Section 25 could also be limited in terms of section 36 of the same Constitution. However all that was currently speculation as the courts had not had the opportunity to have section 25 properly ventilated with sufficient different scenario test cases where the courts could express an opinion. Therefore, although it was possible to have EWC, there was simply not enough precedents. Mr L Mpumlwana (ANC) asked what AgBiz meant by ‘striking of a balance’ in redress and opportunity. Mr Boshoff said his understanding was that section 25 had a dual function. One was to protect private property from arbitrary deprivation by the State, that is, protecting individuals from having to sacrifice their property right for public interests. Two was extending property rights which spoke to changing the patterns of property ownership. AgBiz understood section 25 to mean both by making the law durable enough going forward to redress past injustices whilst protecting the institution of property rights. Mr Mpumlwana said that the response was vague and he required further clarity on whether AgBiz was saying government would have enough money to compensate expropriated land. Mr Boshoff replied that in AgBiz’s alternative recommendations, the AgBiz chamber believed that to transform the commercial sector; the social aspect of land reform where a commercial case could not necessarily be made, it could be undesirable for a commercial loan to be extended. Therefore the private sector could assist by making more funds available to transform the total agricultural commercial sector which would then free up a large portion of the budget of the Department of Rural Development and Land Reform (DRDLR) to focus on the social need for land reform such as labour tenants and farm workers. With those alternate recommendations, AgBiz believed the state would have sufficient budget. AgBiz had done an analysis of where the existing DRDLR budget of was being spent. Since 2009 on average about 40% of the land reform budget had been spent on land acquisition. Therefore if that was rectified and leveraged by means of the private sector as explained, AgBiz believed the state and private sector would have enough money for expropriation with compensation. President Ramaphosa had asked in his 2018 State of the Nation Address (SoNA) for models from the private sector to assist government in land reform and AgBiz had already proposed its model in 2015 but it had never been considered by Parliament. 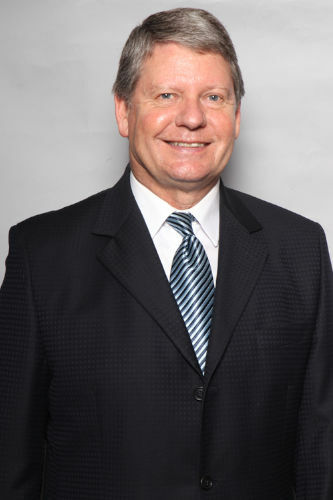 Mr Jannie de Villiers, GSA CEO, said GSA was a voluntary non-profit organisation for grain farmers. GSA’s record stood as testament to the fact that it was committed to and supported land reform, especially its work in establishing black farmers. In identifying real stumbling blocks of land reform, it pointed out that in the previous season, only 30% of their available land had been planted by the about 10 000 black farmers in GSA’s system, due to the lack of finance. There were enough black farmers that had been trained, were ready and organised for farming but lacked the financial support to get going. As AgBiz had noted the DRDLR budget had been skewed in Agriparks instead of land reform whereas in fact land reform had to precede Agriparks. Production had to precede developing value chains. Mr de Villiers said it hurt him year after year to keep promising the black farmers that GSA would try and get them financed, only to be turned down by the banks. He was appealing therefore as a recommendation for government to fast track the title deeds and land reform beneficiaries process so farmers could have collateral for loan applications to finance production. In his conclusion, he gave an analogy for the potential dangers. In Africa the great wildebeest migration spoke to what needed to happen in SA. When the wildebeest needed to cross a river from the dry cis-side of a river, if they stayed on the dry bank, lions would feast on them. The animals could not calve on the dry cis-bank as there would be no food for their young and they therefore needed to cross the river; which was probably where SA was regarding land reform. However, the river stream was deep, there were crocodiles and a strong current and a high bank on the trans-side. SA needed to get to the trans-side. His plea was for government to consider the dangers of the river as the entire country had to get into the river and get across. Mr Filtane said GSA argued that the status quo was helpful to land owners to address food security concerns. However, there was limited access to land by millions of South Africans. Why would GSA not want the status quo to change when currently more people slept without food daily. Mr de Villiers replied that GSA supported transformation of the grain sector but did not believe it was necessary to change the Constitution for that change to occur. Changing the Constitution without distributing title deeds to the intended beneficiaries would saddle the country with the status quo or worse as more land would be unavailable for crop production as there would be no collateral to finance production. That was why GSA believed in fixing the implementation challenges rather than enlarging the current problem. Mr N Koornhof (ANC) requested clarity if GSA had said that 70% of black grain farmers had not received any commercial support from the financial sector because of the lack of title deeds and lack of infrastructure. Mr de Villiers replied that GSA said that of the 10 000 black farmers within its system only 30% had received some form of access to finance and had planted grain. The reason was that those farmers had no collateral and therefore could not get finance from financial institutions. In some instances there had been low yields as the fertilizer could not get to those farmers due to lack of access road and other agricultural infrastructure. Ms Mokwele asked if GSA could differentiate between the right to title deeds and the right to property. 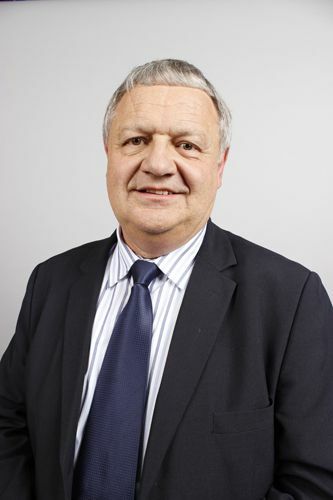 Mr de Villiers replied that the grain sector was ready to assist in indicating the implications of the decisions the country would take in terms of property rights and title deeds. There remained a lot of talk about giving farmers 30 year leases when they worked government land but the experience of black farmers under GSA were of struggles and very little progress. Finance institutions sometimes did not even recognise government leases. Having followed the public hearings, GSA better understood the need for restoration of dignity through land reform. The need to restore dignity was not simply giving an individual a piece of ground, but that person had to be empowered to create wealth off that land. Mr Mpumlwana asked if the crocodiles referred to farmers than owned more than 20 farms each. The Chairperson ruled out Mr Mpumlwana’s question as argumentative. Mr Swart asked what difficulties were faced by the emerging farmer who accompanied the GSA delegation. The black farmer replied that in the villages where he originated there was a lot of fallow land that was not ploughed. Giving land alone without the necessary finance and title to do production was setting up black farmers to fail. Black farmers needed the title deed to have collateral. Ms Mokwele asked if GSA considered land as a commodity. Mr de Villiers replied in the affirmative. Mr Mpumlwana asked how GSA proposed to give black farmers title deeds without the attendant land. Mr de Villiers replied that government would probably have to propose a model instead of putting a ceiling on multiple farms. First one would need to establish if the owners of multiple land parcels were fruit, livestock or grain farmers otherwise land reform would be difficult to administer. Probably in an incentivised system, government could propose a model that if those big farm owners were to assist with land reform in specific ways they would be incentivised. Elmien du Plessis, an associate professor at the law faculty at North West University, lecturing on land reform, indigenous law and property law, said that whenever she was despondent about the world, she visited the Constitutional Court, which gave her hope about democracy-in-action. A constitution was not couched in detailed language, because it was a document that was meant to last, and it had to be flexible to allow for changing socio and economic circumstances. It was the country’s framework in which things had to be done, but it was not the document that did the things. How things had to be done were set out in legislation. Once the Constitution was amended to specify matters such as when property can be expropriated without compensation, it then became fixed and inflexible. Her contention was that there needed to be test cases before the court as land reform had always been stuck on market value determination. This had to be tested in court on land reform cases specifically. Mr Koornhof read section 25(3) and asked Prof du Plessis what her views were if section 25(3) was amended to include a subsection (f) that said ‘just and equitable compensation could amount to zero or nil’. Prof du Plessis said she had picked up in the digital media the suggestion that section 25(8) could be amended so that the amount of compensation could sometimes be zero. Her view was that felt repetitive but because the sentiment was that Parliament was moving towards a clarification amendment to section 25, it would be a cosmetic and not really a substantive change. Seeing that was not being challenged, it did not seem necessary. Mr Swart said seeing that Parliament had the powers to refer matters to the Constitutional Court would it not be appropriate to get the ConCourt to set the parameters on the current wording of section 25 on when it would be possible to expropriate without compensation. Prof du Plessis believed that it would be difficult for the court to set parameters without having specific facts before it, since the question of when something would ‘just and equitable’ would be a contextual question. The current challenge was that ‘just and equitable’ compensation could not be extracted and be applicable to all circumstances which was why she believed in the need for test cases before the court. Mr Swart said a constitutional amendment would go to the ConCourt in any case for certification. Did she agree or not? Prof du Plessis clarified only if there were concerns about the amendment. Ms Mokwele asked how Prof du Plessis viewed the interests of the dispossessed versus the dispossessor. Prof du Plessis replied that section 25(3) referred to the interests of the holder of the rights; which was the land owner generally, and the interests of the public in effecting land reform. That spoke to the earlier point from AgBiz on whether the government had the budget to effect land reform and in certain circumstances if that balance in budget spending was skewed. It had to be acknowledged that the more unequal SA became, the more difficult it would be to effect the balance alluded to in section 25. Therefore the interests of land owners had to be balanced with those of the public. Ms Mokwele asked how that balance was to be achieved if the majority of South Africans did not have the means of production. Prof du Plessis replied that the public perception seemed to be that EWC was an end in itself. The situation was a land owner had to give access to the land to a beneficiary through the government acquiring it through expropriation. What had to be weighed was what would be the ‘just and equitable compensation’ paid to this land owner. Currently, market value did not feature so much although there were exceptions. Land reform would remain impossible if market value was always factored in. Ms Mokwele asked how Prof du Plessis justified ‘just and equitable’. Prof du Plessis replied that that would be difficult hence her assertion was that the courts had to determine that as land reform had always been stuck on market value determination. This had to be tested in court on land reform cases specifically. Mr M Maile (ANC) asked who Prof du Plessis represented. Prof du Plessis replied that she represented only her view as an academic knowledgeable on the subject. Adv T Mulaudzi (EFF) wanted clarity on whether her research had ever been on the need for land by African blacks in rural areas. Had her doctoral research included the land ownership audit of 2008. What was her opinion of the land ownership audit currently? Prof du Plessis replied that she did understand the bigger picture on land reform but her academic research had focused on a specific question which for her had been: ‘How SA needed to interpret section 25(3) of the SA Constitution in order to make land reform work and have a transformed society’. Moreover, the limitation of her work was that it was on the legal implications of section 25(3) but certainly there was the larger societal context. Further questions that needed answering were what would follow after EWC had occurred and land was in the government’s custodianship. If that conversation was not going to be had, land reform would not move forward. Ms Carter asked if her doctoral research had benchmarked against international findings on what EWC had resulted in. Prof du Plessis replied that she had done a comparative study of the German Constitution as section 25 of the SA Constitution was similar to what the German constitution provided for. However her work had considered the contextual differences as well. The German constitution also provided that land owners had a social obligation and the German constitutional court had found that redress reform could have expropriation of land at less than market value but with clear guidelines; which was what was currently lacking in SA. Adv Mulaudzi said that seeing that Prof du Plessis had not responded to his question on her views of the land audit, he believed she represented Afriforum. Ms Mokwele asked if she was saying the land reform programmes by government had to be referred to the courts to determine. Prof du Plessis replied that her argument was that the courts were best placed to determine what was ‘just and equitable’ as they dealt with concrete case law. This was because justice and equity could not be extrapolated upon certain principles that could be applicable to every situation as justice and equity was a contextual question. Mr Mpumlwana asked if Prof du Plessis was saying the conversation was in its infancy and more talking was needed about land reform. What was government supposed to do? Prof du Plessis replied, as she had alluded to earlier, government had the Report of the High Level Panel on the Assessment of Key Legislation and the Acceleration of Fundamental Change which pointed to where challenges were and recommended what could be done. She supported that Report and highly recommended that what it contained had to be seriously considered and implemented. Ms Constance Mogale, ARD National Co-coordinator, said she would be speaking from her heart. ARD was a cross-section of civil society organisations involved in litigation, research and mobilisation. She came from a forcefully removed community called Goedgevonden in Ventersdorp in the North West. She had been following the land reform programmes from as far back as the CODESA negotiations. Even before those negotiations in 1991, people had wanted EWC, therefore EWC was not new. The failure of land reform from 1994 to date in SA was articulated in the Motlanthe High Level Panel Report. ARD constituencies and members had suffered expropriation and deprivation of their property rights on communal land and in informal settlements without any statutory procedure and without any compensation. Rural people did not have access to mainstream media and technology; therefore they might be unable to submit by deadline. ARD appreciated the deadline extension to 15 June 2018. It had also written a letter to the Committee to allow for submissions by the people at the public hearings in Parliament to ensure that the voices of the marginalised are not left out. However, due to no acknowledgement of receipt of the letter, Ms Mogale had thought Parliament was full for the hearing but was surprised by the mix of privileged and connected individuals that had gathered for the public hearings in Parliament. Land reform had to be understood as a question of dignity, identity and power, and should not be reduced to agriculture and farming only. The majority of well deserving citizens did not have access to land. They were denied access and control of their environment. The emphasis on “well deserving” citizens referred to poor rural and urban, women and youth and orphans, and black people. She asked Parliament to share with ARD its vision for the future for SA. The country needed a vision exercise to deal with the dualism of two worlds in one in the country. 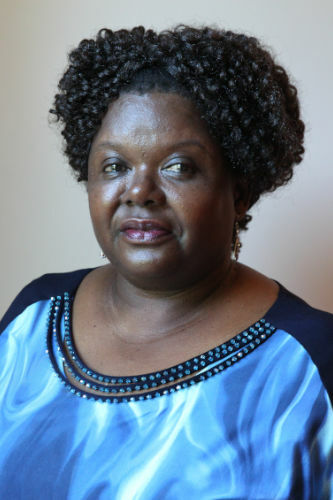 She had observed in the provincial public hearings that even those who supported amending section 25 of the Constitution did not understand what that meant. Parliament had been empowered to develop enabling legislation as provided for by section 25 to ensure that land reform and redistribution occurred. Ms Mokwele said ARD submission seemed contradictory and wanted clarity whether ARD was permitting Parliament to amend section 25. Did ARD support EWC or expropriation of land with compensation? Adv Mulaudzi asked what ARD meant by fully supporting that EWC had to be done, but only in the public interest. Ms Carter asked if ARD believed that the High Level Panel Report had the answers to everything it had diagnosed in its Report. Ms Mogale replied that section 25 mandated Parliament to make law to enable citizens to gain access to land on an equitable basis. Currently there was only the Land Restitution Act in terms of subsection 25(5) and there was no communal land legislation and there was no recognition of the Interim Protection of Informal Land Rights Act which protected citizens on communal land. There had to be a Redistribution Act and not a policy that every minister could change as and when it was felt like. There currently was an Expropriation Act but it was not useful as it had nothing on ‘just and equitable’ redistribution. Giving power to government to do EWC was problematic because ARD had already seen that a land audit of the 9% that had already been redistributed lay with politicians, as they were farming together with those that were highly connected. ‘Public interest’ in law had to be defined when talking about EWC. Indeed, ARD agreed with EWC. There was land lying fallow. ARD had always maintained since 1991, through 1995 to the Landless Peoples Charter, that land that was currently not contributing to the economy, had to be identified for EWC and earmarked and mapped out for different land use purposes. Mr S Mncwabe (NFP) asked what ARD believed caused urban migration by rural inhabitants and how that could be stopped. The Chairperson ruled out the question noting that it was argumentative. Ms Mokwele wanted clarity on what ARD meant about EWC with limits. What would be the limitation? Ms Mogale replied that the limitation spoke to a formula as outlined in subsection 25(3). Ms Zenande Booi, LARC Researcher, said that there had been a number of failures in giving effect to land reform as mandated by the Constitution which had been documented in several reports commissioned by the Department of Performance, Monitoring and Evaluation (DPME) on the scale and intractability of challenges faced by land reform. Most recently the Report of the High Level Panel on the Assessment of Key Legislation and Acceleration of Fundamental Change (HLP) had detailed the challenges faced by land reform and had recommended how those could be resolved. LARC submitted that the proposed amendment to section 25 would not adequately deal with structural and systemic problems in land reform already identified. Further, the amendment could adversely affect many of the positive strides provided for in the Constitution such as the rights to redistribution, restitution and tenure reform. LARC had researched the dispossession and threats of dispossession currently faced by many poor black people in the former homelands. It had focused on the Ingonyama Trust Board (ITB) operations and the Mineral and Petroleum Resources Development Act (MPRDA). Land was already being expropriated without compensation as it was being confiscated from people in former homelands and the only defence people had against this dispossession was section 25. Colonial and apartheid laws entrenched this idea that black people did not have an identity, and were not capable of holding rights, except as part of a tribe. This made it easier to justify colonial land grabs. What eventually developed was a trustee system that required land to be held by a government institution on behalf of tribes. This system of holding land on behalf of black people started in Natal with the Natal Native Trust created to hold the land that had been set aside to become black locations on behalf of the relevant tribe. The trustees were empowered to grant, sell, lease, or otherwise administer the land for the benefit of the black people. In the Transvaal black people had not been allowed to own land, they were forced to ask missionaries or sympathetic white people to buy the land and hold it on their behalf. Ms M Mothapo (ANC) asked which part of section 25 of the Constitution referred to zero compensation. Could LARC elaborate on what it understood about the ITB operations and communal land? The Chairperson said the second question was deliberative and Ms Mothapo could seek clarity on that outside of the session from LARC. Ms Booi replied about ‘just and equitable’ meaning zero compensation, saying that the LARC interpretation was that in certain circumstances, because of the ‘just and equitable’ provision this could amount to zero compensation. Therefore, there was no need to amend section 25. Section 25 already empowered and gave government a lot of room to effect justice and equity in land reform. The factors provided for in section 25 were not exhaustive and the section 36 limitation clause limited the rights to property according to a law of general application. Therefore Parliament had to pass a law on how government would use the powers provided for in section 25. The inclusion of the ITB in the submission was simply to add nuance to the conversation on EWC, on the other issues which the preceding speakers had not touched on, specifically whether the EWC would be contributing to bettering the current situation for people on communal land. Mr S Mncwabe (NFP) said he was from ITB administered land and he had never been made to sign a residential lease. He asked for clarity from LARC on the leases it had alluded to or had it been referring to Permission to Occupy certificates (PTOs). Co-Chairperson Nzimande said the question was deliberative and LARC could certainly engage Mr Mncwabe outside the session on that. Ms T Mokwele (EFF) asked for clarity on vesting land rights with the occupiers of the land. Ms Booi replied that historically how black people in SA had held rights to land had not been respected; rights derived from customary law had not been recognised as valid rights. That had been why in the former homelands, people had PTOs which were Apartheid state vested rights held in custodianship. Vesting the rights of the land to the occupiers of the land, was not simply giving title deeds but, recognising that rural landed black people had rights to the land they occupied and that had to be validated through laws which was currently not happening to date. The Interim Protection of Informal Land Rights Act (IPILRA; 1996) which recognised land ownership by black individuals in rural communities was not being implemented and it also did not adequately address the nature of the land rights and protect those rights in the way they were held by rural communities. Ms Mokwele asked if LARC believed that the historical land EWC had not been addressed to date with the current land reform programmes. Ms Booi replied in the affirmative. Adv T Mulaudzi (EFF) said LARC exhibited the frustration faced by people in the land redistribution process, therefore he did not understand why LARC was rejecting amending section 25. Co-Chairperson Nzimande noted that Adv Mulaudzi's observation was for future deliberation by the Committee and the comment was beyond the session’s intention. Mr Mpumlwana asked what LARC understood by section 25(3)(b) on land restitution. Ms Booi replied that LARC understood section 25(3) as points of departure and not a means to an end and an exhaustive list of factors that needed to be considered when Parliament was considering if the Constitution needed to be amended or not. Parliament needed to pass a law that would enable it to implement section 25 because there was no law to date to implement section 25. Ms Mokwele said that if LARC agreed that the Constitution was the supreme law of the country and its provisions already outlined how to achieve a particular goal, but those same provisions had been unable to achieve land reform through redistribution and restitution, why would LARC maintain that there was no need to amend section 25? Co-Chairperson Nzimande said that the Committee could not argue to persuade a stakeholder on its position on the matter. The Committee could only ask for clarity. Therefore he ruled the question out of order. Mr F Shivambu (EFF) proposed that the Committee proceed to the next submission. Prof Bradley Slade, Associate Professor, University of Stellenbosch, said the parameters of the review of section 25 related only to the EWC of land and not all property that was constitutionally protected. Therefore EWC of land was for land reform purposes only. Seemingly it was the first part of section 25 which protected property against unlawful state interference which some deemed as frustrating land reform. Section 25(2) required expropriation to be compensated whilst section 25(3) set out the standard for compensation. The standard as contained in section 25 was ‘justice and equity’ and not ‘market value’ and it was also fallacious to argue that ‘no compensation’ had to be paid in all cases of land expropriation. Amending sections 25(2) and or (3) would not be enough as in the absence of that section a property owner could still rely on section 25(1) to attack a complete extinguishing of rights to land without some type of compensation. Therefore to permit EWC would also require an amendment of section 25(1). It had also been mentioned that section 25(8) would have to be amended to permit EWC. Doing that would also not be sufficient on its own, as it would be in direct conflict with section 25(1) and (2) and would probably be unjustified in terms of section 36(1) of the same SA Constitution. Where section 25(1), (2), (3) and (8) were amended to permit EWC in the public interest that would raise conceptual difficulties in relation to expropriation of other property including movable property like farm equipment and vehicles, and intangible property such as licences. Any amendment it appeared, within the parameters of the motion to EWC of land would inevitably differentiate between the expropriation of land in the public interest on one hand and expropriation of property for public purposes on the other. Such differentiation could offend foundational rights such as human dignity, equality and the rule of law and would be invalid. Any violations that offend these rights would not be justifiable in terms of section 36 of the Constitution. Therefore any amendment of section 25 for EWC of land would firstly require an amendment of the foundational values in section 1 of the SA Constitution; secondly other rights in the Constitution such as the right to adequate housing, just administrative action and; thirdly, the general limitations clause. That was the Stellenbosch University Law Faculty's main objection to the review and amendment of section 25 to permit EWC of land in the mandate given to the Committee. It believed that amending section 25 as mandated would require an amendment of potentially the entire design of the Constitution which was not the mandate of the Committee. Seeing that the land issue had not been resolved, it was questionable if the country should consider the design of the Bill of Rights. Therefore the Law Faculty was opposed to any amendment of section 25 to allow for EWC as some kind of blanket approach where it concerned land reform. It also believed that any expropriation for the public good including healing the wounds of the past and accelerating land reform through EWC, would have a punitive effect and counter the whole purpose of restoration and reconciliation. There was a general obligation on governments to award some kind of compensation when expropriation occurs globally. • The state had to use its power to expropriate property for land reform. Various pieces of legislation already authorised expropriation of property for land reform. Any expropriation authorised for those purposes would be constitutionally valid as it would comply with the requirements set out in section 25 (2). • It would also need to be clear to administrators that the compensation standard would not be market value but justice and equity. Compensation could be far below market value and close to zero if it was just and equitable in those circumstances. Market value was the most easily quantifiable factor but it did not assist courts and administrators to determine compensation below market value which would still be considered just and equitable. The Constitution would continue to provide the overarching framework as it provided authority for expropriation, set out a just and equitable standard of compensation but the details of that were for the elected officials to determine and set out in legislation. Land reform required a few things namely: constitutional legitimacy, clear policy guidelines and effective implementation. That required a coordinated effort by all relevant players. EWC of land was basically confiscation which was punitive and contrary to the overall constitutional imperatives of healing the divisions of the past and establishing a free and fair society. The current property clauses coupled by clear guidelines which would enable functionaries and courts to unpack the calculation of compensation effectively in different scenarios and endorsed by principles of good governance could achieve the set reformative goals. Mr Filtane asked if the Stellenbosch University Law Faculty had been aware that even for purposes of land reform and redistribution, landowners pitch the price of land so high that it had been impossible for the Valuer-General to get a reasonable price. How could people ever hope to access land if it was not amended in the blanket fashion the motion proposed? Prof Zsa-Zsa Boggenpoel, South African Research Chair in Property Law, Stellenbosch University, said although there were views that property prices had been increased, the reason for that had been tying property sales to the ‘willing buyer, willing seller’ policy. The 'willing buyer willing seller' concept had never been part of and remained nowhere to be found in the Constitution. Section 25(3) only spoke of justice and equity. The Law Faculty was proposing that negotiations did not start at market value since 'willing buyer willing seller' was not supposed to be the starting point. 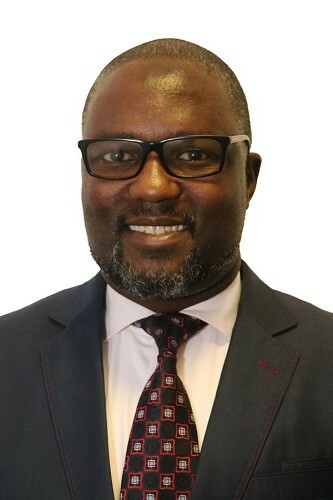 Mr Filtane said 'willing buyer, willing seller' had been a consequential administrative process which could not be criticised as it sought to align land reform administration to section 25(1). The Law Faculty seemed to want to reduce a social problem to an administrative process. He asked for comment. Prof Boggenpoel replied that there was the Property Valuation Act which had commenced which provided how ‘market value’ had to be approached. ‘Willing buyer, willing seller’ at market value could be valid for private transactions between parties but not for land reform purposes, especially where government was involved. Therefore there was already an Act in the statute books that could and would be able to help. If that Act was linked to the Valuer-General and aligned with the property clause as currently provided, the claimed difficulties would not materialise in practice. Mr S Swart (ACDP) asked for clarity on the assertion that EWC of land was currently possible in principle in terms of section 25(3). Prof Slade replied that depending on the circumstances surrounding the property, it could be just and equitable to award expropriation close to zero compensation. Mr N Koornhof (ANC) said the challenge was exactly what Prof Slade had just said and there being no legal certainty, because if a property owner was aggrieved, they approached a higher court until the Constitutional Court. What was Law Faculty proposing actually if legal certainty had been achieved for EWC for land reform? Ms Tina Kotze, Doctoral Candidate, Stellenbosch University, replied that as Prof Slade had already alluded no precedent had been set yet. Section 25(3) provided the framework in which market value was but one factor of the factors that needed to be considered in EWC for land reform. Given other factors as captured in section 25(3) EWC was possible at far below market value currently. Co-Chairperson Nzimande reiterated that what Mr Koornhof required of Stellenbosch University Law Faculty was to respond whether there was enough legal certainty to proceed with EWC for land reform. Prof Slade replied that it was for the legislature to give guidelines and policy which would then be tested by the court against the constitutional provisions. Mr Filtane asked if he understood correctly that the submissions up to that point recommended that the millions of currently landless South Africans had to await protracted court jurisprudence to get access to land, instead of a simple clause amendment in the Constitution. Prof Slade replied that probably distinction had to be drawn about authority to expropriate which government already had for land reform, as stated in its submission. Validity of the expropriation did not depend on the compensation that would be offered afterwards. Prof Boggenpoel added that if the section 25 was amended, that would be one small aspect of the land reform spectrum which would have been dealt with. The bigger dimension in land reform related to difficulties in conceptualisation, legislation and implementation and governance. Dr Rick de Satgé, Researcher, said if the land question was to be addressed, it had to be addressed within the context of a signifier that South Africa did not yet belong to all who lived in it. Simultaneously it had to be asked if a constitutional amendment was the better solution to land reform failure or whether there was a need to understand and address the systemic problems which had contributed to the poor performance to the land reform programme to date. Section 4 of Extension of Security of Tenure Act (ESTA) remained unimplemented which caused farm workers and dwellers to live on land owned by others (see submission). Mr Filtane asked if his view about amending section 25 would have been different if the failures he had identified had been successes instead. Dr Satgé replied that the question being asked was wrong. He did not believe that success of land reform or land inequality redress would be solved by amending the Constitution. The Constitution already had sufficient transformative power to do that as it is, but what was lacking was the political will, the budget investment, capacity and systems to make land reform work. Adv Mulaudzi asked if Phuhlisani had researched how many poor households were affected from the statistics it had given on land reform and redistribution beneficiation. Due to the slow pace of reform and redistribution, this had forced Parliament to probe a possible amendment of section 25. Dr Satgé replied that the HLP Report had addressed that in some detail as it had reviewed research on land demand and landlessness in SA. Significant demand for land was definitely there but increasingly that demand was for urban land and well-located urban land. Research had been done by Ivan Turok on urban land and the tax that was effectively being levied on the poor who lived on the urban periphery. Therefore the land demand was about land that enabled people to have easy access to jobs to cut transport costs. That was what needed focus in his view. Research showed that people wanted small parcels of land. The failure to promulgate the Subdivision of Agricultural Land Act Repeal Act of 1998, which would have allowed smaller pieces of land to be identified, divided and distributed had also been a major obstacle impeding the success of land reform. Ms Carter asked Dr Satgé to clarify what he had meant about government's narrow focus on land reform. What solution would he propose to the challenges he had identified. Dr Satgé replied that a sense of frustration with land reform could be gleaned from his submission and that was because he had worked in the land sector since 1970. He had seen a lot of energy and public money spent on the land question and its attendant processes. In his view the HLP process had been the most thorough going analysis of the challenges that existed in land reform ever. The HLP Report was the most comprehensive process with detailed recommendations and draft legislation and required Parliament together with South Africans to engage with the report and think carefully about what needed to be done if the recommendations were to be implemented. His concern was that the conversation about EWC for land reform was a simplification of a whole set of complex issues. The narrative was about tapping into the deep and totally justified anger at continuing and disgusting inequality in SA which needed to change. He felt that EWC for land reform could simply exacerbate the anger at inequality rather than speed up land reform. Ms T Mbabama (DA) asked for clarity on who Phuhlisani thought were the people already facing de facto expropriation. Could Phuhlisani clarify what a Land Recordal and Administration system was? Dr Satgé replied that people were being expropriated weekly in SA primarily because of mining legislation although their removal was not called expropriation. He had been working with communities in Ga-Mapela, Limpopo, next to the Anglo Platinum Mogalakwena mine in Mapela. As the mines were expanding the deals were struck between the mining companies and the local traditional leaders whereafter people's villages had to be removed to make way for mines. The people being moved did not receive the benefit of mining except derisory beneficiation, that is, in comparison to what they were being disposed of. There were examples of people’s graves being dug-up and desecrated without any compensation. Multiple examples abounded of people's land rights which were not secure by law being passed over by elites and marginalised. Land recordal was about rethinking property rights and moving away from a fetish of title and recognising what title was supposed to provide: secure, legal and transactable rights. The World Bank had found that processes that focused on titling had proven to be an expensive failure. For example, the Reconstruction and Development Programme (RDP) houses where more than 50% of those that had received RDP houses had no title deed. For those that had title deeds, the title no longer reflected the original owner of the title because of informal transactions. Government had to design a land recordal system that all South Africans could afford and not only elites. Land recordal proposals were contained in the HLP Report. Ms Mokwele asked Phuhlisani to clarify what it meant about there being no evidence that EWC for land reform would be cheaper and faster through amending section 25. Dr Satgé replied that the dominant narrative was that with amending section 25 somehow access to land would be sped up. He believed as the Law Faculty submission had demonstrated land reform through amending section 25 would be a thorough going process that required a whole overhaul of the Constitution. All that would be subject to litigation as current property owners would not sit and allow themselves to be expropriated. The land reform process would then become delayed and drawn out. Additionally there was an assumption that compensation had to be paid in cash whereas the Constitution had no such provision; people could be compensated with government bonds. Ms Mokwele asked what government bonds were. Dr Satgé replied that a government bond was a government guaranteed investment fund that paid out after a period of time in tranches or one lump sum. Ms Mokwele asked if Dr Satgé agreed that land had to be treated as a commodity. Dr Satgé replied that land in SA was not just a commodity but included gravesites, a people’s history and dignity which could not always be commodified. Probably part of the problems with dealing with land was that it often got reduced to a transactable property only by some, whereas other viewed land as part of their identity. The country had to find ways to bridge those perspectives. Prof Ruth Hall, PLAAS, University of Western Cape, said in the past 24 years the track record of land reform had been very disappointing and that had not been the fault of the Constitution but political failure on a grand scale. PLAAS was independent - it trained individuals including public servants, conducted field research and provided policy advice. The PLAAS perspective was that although the public hearings were welcomed, it had asked the wrong questions to the wrong people. Instead of asking government why it had not used the Constitution, ordinary people had been asked if the Constitution needed changing. Section 25 had been forged by the ANC specifically as a mandate for transformation and never about providing blanket protection for private property rights. There was a clear mandate for land redistribution, tenure reform and restitution but often overlooked was section 25(8), an override clause, which stipulated that no measure in section 25 may impede the state from taking legislative and other measures to achieve land, water and related reform, to redress the results of past racial discrimination in accordance with the provisions of section 36(1). Clearly the Bill of Rights mandated land reform in the public interest and it also had never required market related compensation. All that had been required had been a case by case expropriation with all the provisions under section 25 being fulfilled. EWC for land reform had simply never been used before and that meant land restitution claimants to date had had their interests trumped by private land owners when government had to process land restitution claims. All that was contrary to the constitutional imperative because, when conflict arose during restitution: it had been incumbent of government to protect the interests of the dispossessed as per section 25. State custodianship of all land would be a deprivation of property rights in terms of a law of general application which would be aligned with section 25(1). If the Agri South Africa v Minister for Minerals and Energy (CCT 51/12)  case was reviewed it would become apparent that a deprivation in terms of a law of general application was not contrary to the Constitution, and all land could be vested with government without changing the current Constitution. That was clearly the policy prescriptions promoted by the Economic Freedom Fighters (EFF) and not ANC policy. Moreover that did not address the question of how to redistribute the land afterwards as it was simply a show of what power government had instead of fast tracking land reform. This would mean treating the poor in the same manner as the rich; that would mean the people of Xolobeni on the Wild Coast of the Eastern Cape who had been struggling to retain access and ownership of their land would be treated equally as a rich person and it would treat black rich and poor people equally. To do that would require a great deal of constitutional amendment as it would require removing the provisions in section 25 (2) and (3) and also changing "no law may permit arbitrary deprivation of property" in section 25(1). It was challenging to see how that would all pass constitutional muster as it would violate section 1 and 36 of the Constitution and would require 75% of the National Assembly to vote in favour of such a scenario. The requirement of ‘just and equitable’ compensation in the Constitution had never been tested in the courts. The closest that had been done had been the Mhlanganisweni Community v Minister of Rural Development and Land Reform and Others (LCC 156/2009). Constitutional experts had argued that government could pay close to zero compensation as long as it was just and equitable to do so. Doing all that would need an amended Expropriation Bill to return to Parliament with clear policy, regulations and test cases to clarify what would be the compensation regime. No constitutional amendment was required for all of that to occur. The sentiment in the public debate in the last few months had shown that some in the Committee were leaning towards a clarificatory amendment to confirm that EWC for land reform was at zero compensation. There could of course be EWC for land reform, plus with compensation and partial compensation on a case by case basis. It could be possible to amend section 25 such as the 25(8) override clause that the compensation requirement could not impede government by adding ‘including compensation’ to that. That did not resolve any practical problem but did send a political signal that government and ruling party would not be held back by the compensation requirement in advancing land reform. Ms Carter asked if Scenario 3 was adopted, did PLAAS think there would be any way to close Pandora’s box seeing that PLAAS had noted that the Committee had been holding racially divided public hearings on amending section 25. Prof Hall replied that the irony was that in the mid 1990s she had witnessed firsthand people fighting to have section 25 as it currently was in the Constitution but nothing had been done about implementing the provisions. She did not see anything about section 25 as Pandora’s box since section 25 obliged the state to embark on land reforms through empowering it to expropriate where appropriate while providing ‘just and equitable’ compensation on a case by case basis. To avoid having the EWC for land reform process held up by litigation, seeing that there was a big concern to expedite the process, there surely needed to be good test cases, jurisprudence and policy clarity to avoid having each case contested in court. Mr Swart asked about the proposed draft land redistribution bill Prof Hall had alluded to. Prof Hall replied that it was a positive move to think about amending and passing the Expropriation Bill after the Department of Public Works had removed the Bill. What that meant was that government could overcome the restrictive provisions of the Expropriation Act of 1975 and expropriation could be done in the public interest. A spectrum of compensation could be developed from zero to above inflation depending on the circumstances. Expropriation was about the government’s power, and people participating in the public hearings across the provinces had expressed a yearning for people’s power instead of government’s power. The idea of a new land redistribution bill was to operationalise and redefine what constituted equitable access to land, to set out beneficiary criteria. Therefore the expropriation and redistribution bills would be a perfect pair which would strengthen and clarify the powers of government and also confirm and clarify the powers of citizens to hold government accountable. Ms Koornhof asked if land reform would be sped up if Scenario 3 was adopted. Prof Hall replied that currently government expropriated on a regular basis for public purposes. Adept as government was at expropriating, it had not tried expropriating for land reform. PLAAS perceived that what would be a slow process of expropriating for land reform initially; over time EWC for land reform could speed up over time. To be considered as well though, was that only about 0.4% of the national budget had been set aside for land reform so the budget was limited not only for acquiring land but also in having qualified, capacitated administrators to implement such a programme. Thus budgeting also needed rethinking. Changing the Constitution alone would not in itself change the situation but rather how government would use the powers it always had since democracy and whether those powers would be used strategically. Ms Mokwele said Prof Hall had read the EFFs FAQs and the stance remained that the EFF preferred Scenario 1. Prof Hall understood the failure of the ‘willing buyer, willing seller’ policy well. Co-Chairperson Nzimande interjected that Ms Mokwele would be allowed to debate in Committee. Adv Mulaudzi asked if PLAAS did not see the delays that would result from redrafting and processing an Expropriation Bill. Prof Hall replied that the ‘willing buyer, willing seller’ policy had been a proposal advocated to the ANC by the World Bank prior to 1994 and remained after adoption a policy but it had never been a part of the SA Constitution. The ANC had chosen to adopt that policy and of course as was known that policy had been abandoned by the ANC. In terms of a delay, PLAAS agreed that any case by case expropriation would indeed be contested in court in the initial phase and that would delay EWC for land reform. However, the question had to be asked if there had to be ‘just and equitable’ compensation whilst considering that law had to apply to all South Africans; unless government was to override sections 1 and 36 of the Constitution and not have equitable laws applying to all South Africans. Prof Ben Cousins, PLAAS Director, said the notion that the Constitution had impeded land reform to date implied a cause and effect relationship. Additionally, the notion that changing the Constitution would solve all the problems of land reform also implied a similar effect and in both instances the arguments were wrong as no evidence showed such results. Land reform had been so slow and ineffective due to lack of political will, budgeting and state capacity. If the massive uncertainty besetting society, worries that investors had, worries ordinary poor black South Africans had about EWC for land reform, Pandora’s box probably was that uncertainty. If Scenario 4 made most sense what would be the harm in inserting a clause ‘including compensation’ at the end of section 25(8). That would do no more than clarify for society and the international community that government was serious about land reform within the rule of law and would enjoin government to do land reform effectively. He was pleading with the Committee to consider adopting Scenario 4. Mr Mpumlwana wanted clarity on what PLAAS meant about EWC for land reform being possible without amending section 25, when section 25(1) prohibited EWC. Prof Hall replied that a promoted perspective had been Scenario 1 where government would be custodian of all land after EWC for land reform. There were two precursors to that scenario: one was MPRDA and the other was the nationalisation of water resources in SA. Both had happened without amending the Constitution. The removal of mineral and water rights from private individuals to the state had been done through a ‘law of general application’ and had not been discriminatory or had been arbitrary deprivation of property. In both cases that had been allowed within the scope of the property clause. Therefore vesting the state with custody of all land did not require a constitutional amendment was Prof Hall’s point. The major political parties in the country deeply disagreed on Scenario 1. Mr Maile asked for clarity on the Scenario 2 proposition that all citizens would be treated equally before the law, moreover what security of tenure was there between the poor and the rich currently; were the scenarios referring to urban or rural land? Chairperson Nzimande said the question seemed to go beyond clarity seeking questions but he would allow PLAAS to respond if it could locate it within its submission. Prof Hall replied that the Constitution stated people were not supposed to be treated in the same way. ‘Just and equitable’ said that history had to be considered, how people had acquired the land, who they were and how the current land use. Therefore the Constitution was explicit in that not everyone had to be treated the same which was why Prof Hall was critical of Scenario 2 as it surely would not be right to treat everyone in the same way. Recently for example, farms in Limpopo had been earmarked for expropriation and simultaneously the Xolobeni Community did not want to be expropriated. Surely therefore such different scenarios had to be dealt with differentially. Ms Breytenbach said that having one part-time Land Claims Court judge had obviously impeded land reform; did PLAAS perhaps know what the reason was for that perhaps? Was PLAAS aware of the Msiza v Director-General for the Department of Rural Development and Land Reform and Others (LCC133/2012)  ZALCC 12; 2016 (5) SA 513 (LCC) (5 July 2016) which had been overturned in the Supreme Court of Appeal. Was it going to ConCourt or had no one appealed? Prof Hall replied that it was shocking that the Land Claims Court which had been set up to have at least five full-time judges was so chronically understaffed and was supposed to deal with land claims matters. Even if judges were to be appointed fulltime to that court there would remain capacity challenges within the Land Claims Commission and the DRDLR as well. Therefore there was a broader set of political challenges that went beyond merely courts. Adv Thembeka Ngcukaitobi had clearly argued recently that if SA could not get the Land Claims Court functioning adequately, land reform would not be expedited. Mr Filtane said the Expropriation Bill had been withdrawn by DPW because government could not EWC for land reform precisely because of the section 25 provisions. He wanted clarity from PLAAS on whether its proposal was that South Africans had to wait some more, for one-by-one test court cases for certainty about EWC for land reform purposes. Prof Hall asked why government had not been using the powers as provided in section 25(8) for the past 20 years and if those powers were to be changed how it would behave differently or at all. Therefore, yes, one-by-one cases had to happen as jurisprudence had to be developed. Mr Matthew Parks, COSATU Parliamentary Coordinator, said COSATU supported EWC for land reform. Landlessness was such a crisis that there were more than three million families living in informal settlements in urban areas. COSATU had been involved with the Expropriation Bill as it was going to provide flesh to the constitutional mandate. If government was serious about land reform COSATU expected movement across the spectrum of related delayed land reform legislation it had highlighted in its submission and not just because of political pressure. However, COSATU supported the ANC position of EWC for land reform although it was not giving government a blank cheque as most expropriation cases were about expanding freeways and power stations. In such cases COSATU would expect people whose property would be expropriated to receive compensation. Ms Carter wanted clarity on what exactly COSATU supported; EWC as proposed or was it making a different proposal? Mr Parks replied that COSATU supported EWC for land reform in principle in certain cases to address security in urban areas. However, COSATU believed that the vehicle for EWC was the Expropriation Act, thus it had provided several examples where that could be done. The conversation could not be wished away and the majority of expropriation cases would not be only land reform but also expanding freeways and power stations. In such cases COSATU would expect workers whose property would be expropriated to receive compensation. Ms Mokwele said COSATU was in an alliance with the ruling party, it represented black marginalised workers and it had participated in the Nasrec conference where the ANC had made a resolution about EWC for land reform by amending the Constitution. She was confused why COSATU had sent Mr Parks to the Committee when dealing with land, as he was a white person. Dr P Mulder (FF+) interjected on a point of order that racial profiling was very inappropriate and pleaded with the Chairperson to intervene. Chairperson Nzimande asked Ms Mokwele to please keep to the brief and to deal with clarity seeking questions. Ms Mokwele reiterated that it was her view and she found it problematic that COSATU had sent Mr Parks to advance the interests of the white minority in SA. Mr Koornhof rose on a point of order that Ms Mokwele was entitled to her view but the process had been adopted that only clarity seeking questions would be allowed. Her opinion had nothing to do with clarity up to that point. Chairperson Nzimande ruled that his hearing of the question was whether COSATU’s view was being represented by the white minority. That question was similar to what Ms Carter had asked about COSATU’s position on amending section 25. He requested Mr Parks to respond. Mr Parks replied that he was asking for protection as he was responding but the EFF sometimes confused rudeness with militancy. COSATU had white members as well. 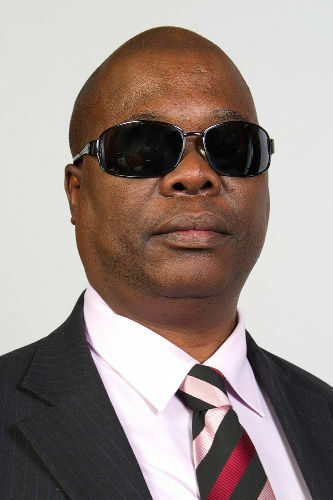 He was the Parliamentary Coordinator for COSATU and it was his job to represent COSATU in all activities of Parliament. It would be problematic for him to pick and choose which issues he would speak on when directed by his employer. It was the EFF’s modus operandi to descend into chaos. Ms Mokwele interjected on a point of order. Mr Parks said COSATU had 17 affiliates and was quite diverse as it had almost two million members and if family members were included about 10 million people made up COSATU’s constituency. COSATU derived its mandate from that constituency and indeed it had supported the ANC resolution on EWC for land reform in principle. COSATU could not come before the Committee with slogans and populism. Ms Mokwele interjected that she would not allow Mr Parks to say EFF was populist. Chairperson Nzimande also interjected that Mr Parks had not referred to anyone by name. He requested Mr Parks to conclude. Mr Parks explained that his populist reference meant that COSATU would not simply said what it wanted without giving specific legislative proposals in the Expropriation Act or the Constitution. Hence his submission spoke to which instances COSATU supported EWC and for what purposes. Adv Mulaudzi said he wanted COSATU to be clear because it either supported EWC for land reform or it did not. Ms Mothapo asked for COSATU’s stance on communal land and land expropriated during apartheid or colonial eras where market value was not paid to the original owner and was not paid for by the current owner. She also wanted clarity on land whose owner benefited from unfair discriminatory loans during apartheid era such as farmers given below market value loan now wanting market value compensation. Mr Parks replied that COSATU had had to give concrete examples of what type of EWC for land reform it supported hence its submission had outlined its position. It certainly did not support blanket EWC for land reform no matter what. The land reform debate was one part of expropriation as most expropriation would be done by municipalities to expand infrastructure. It would be negligent for COSATU to say to a teacher with a bonded house could not get compensated after being expropriated because a dam was being built there. How would the person settle the outstanding balance on the bond? The examples given were specific to empower the Committee to know in which instances COSATU supported EWC. For example, if a person in District Six or Sophiatown owned property which an individual had received through expropriation from black South Africans in the 1960s or 70s and had not been paid full market value but the same individual wanted government to pay millions in market value for the same property, COSATU did not believe it would be morally just to pay market value at present. Similarly some farmers would have received generous loans in the same time period with repayments at far below market value. Why would it be fair to pay those farmers full compensation when being expropriated? The communal land debate had been there for some time and although COSATU did not want to engage directly on it currently, it understood the volatility of the security of tenure in communal land areas. There would be no justice to that debate currently but it certainly needed to be ventilated after general elections from the perspectives of traditional leadership as well as the actual inhabitants of communal areas. 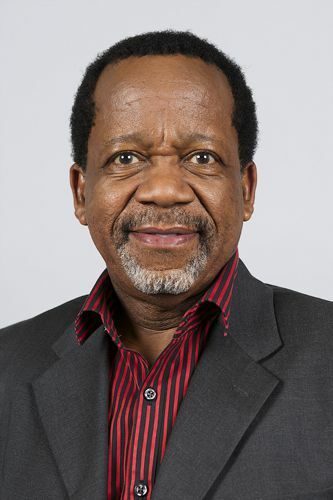 Rev Kenneth Meshoe, HGTC Senior Pastor and ACDP MP, said HGTC agreed with all South Africans that there was an urgent need for an orderly and legal land reform process to redress past land dispossession. Land reform and restitution had to be done in a correct and sensitive way which would not alienate anyone as the land question was an emotive and divisive issue in SA. HGTC wished to see all interested and affected stakeholders participate in land restitution and reform without partaking in divisive racism or tribalism. The motion moved by the EFF and supported by the majority party in Parliament had been the review of section 25 of the Constitution and the property clause in particular which protected private property rights; and required the state to pay compensation when expropriating in the public interest and purpose. HGTC did not agree with EWC for land reform through amending section 25 of the Constitution. Subsection 25(2) allowed for EWC for public interest whereas section 25(3) required ‘just and equitable’ compensation to be determined with regard to all relevant circumstances. HGTC agreed with the provisions of the Constitution. Before amending the Constitution, it had to be first determined which land needed to be expropriated; was it land belonging to businesses, church or religious organisations or would it be privately owned property. As most people with title deeds lived in bonded houses, who would repay the loans if their property was expropriated without compensation? Attempts to correct past injustices with EWC were tantamount to rectifying a wrong with another wrong. It would be improper for government to expropriate used land, belonging to churches, other religious groups and non-governmental organisations (NGOs) without compensation as all listed groups took care of the needs of the poor. Government had not exhausted all mechanisms provided for as set out in section 25(2)(b) such as litigating when sellers demanded unreasonable payment for their property. EWC had the potential to deter foreign investment as there would be no guarantee that businesses would be safe without property rights as currently enshrined in the Constitution. Food security would also hang in the balance if farmers could not be guaranteed that they would not be removed from their farms arbitrarily. It had not yet been determined who would be responsible for repaying the billions of rands already loaned to private individuals and businesses in SA. Banks would suffer irreparable damage and harm because of defaulters if EWC went ahead and that would impact the economy negatively. If EWC became legal, land grabs would increase and the anarchy would overwhelm the country’s security apparatus. HGTC did not want to see an escalation of racial conflict and a repetition of what had happened in Zimbabwe in SA. HGTC proposed that section 25 be left unchanged. It rejected calls for state custodianship of all land in SA. It is currently unclear who owned the majority of the land in SA as land audits did not provide that picture. Whilst land ownership was skewed it was significant that 14% of registered land belonged to government, with a further 7% also belong to government although unregistered. Expropriation had to begin with the unregistered government land. It was unhelpful to talk about EWC without acknowledging and dealing with the deep corruption and abuse of the land reform system. It would be foolish to allow the state to become the sole custodian of land, which would affect the property rights of all land owners. It was estimated that around 4000 farms were in government hands but the full ownership of these farms had not been handed over to emerging farmers. Rather than owning the farms, emerging farmers would be obliged to lease the land from government if EWC would be enacted. Both ANC and EFF had repeatedly claimed that expropriated land would be returned to the people without having actually defined who the ‘people’ were. It was fundamentally misleading that land expropriation without compensation would result in land being owned by the state and not individual black South Africans who were being made to believe otherwise. The ANC policy was to keep land in state ownership as land acquired by the state would be held by the state as a patronage tool and used by government to deepen the dependency of citizens on the ruling party. That was the fraud at the heart of the EWC and HGTC agreed with that summation by the Institute for Race Relations. Mr Maile asked if the HGTC congregation all agreed with Rev Meshoe. Ms Mothapo said the hearings process was to avoid the same land grabs which Rev Meshoe had mentioned and it was misleading that amending section 25 would lead to more land grabs. Could HGTC state whether it was entirely against EWC for land reform or not? Chairperson Nzimande said Rev Meshoe should only respond to the question and not the Ms Mothapo’s comment as it was deliberative. Members should ask clarity seeking questions only. Mr Mpumlwana asked why HGTC believed amending section 25 would increase land invasions when currently state land was not being invaded. Knowing the failure of ‘willing buyer, willing seller’ policy and other initiatives that government had used for land reform and restitution, he thought Rev Meshoe would come with proposals on how to push land reform forward. What was HGTC proposing should be done to address landlessness? Rev Meshoe replied that it was erroneous to assume that all black people agreed with EWC. There were many well read black people that understood the risk of EWC as their properties were not guaranteed against EWC if section 25 was amended. Government could not solve a problem by creating another. Many churches were concerned and wanted the right to their property they operated in to be guaranteed as currently was the case. Rev Meshoe replied that it could not be true that EWC for land reform would alleviate and stop land grabs because land grabs were a daily occurrence. He cited the recent case of Dr Motodi Samuel Maserumule and his business partners‚ Diphethe Bopape and Kgosi Letsi Phaahla, who had approached the Pretoria high court on an urgent basis after four farms belonging to their company‚ Akubra Trading‚ were occupied and subdivided. South African Police Service (SAPS) officers refused to open a case for them at Soshanguve police station. The land owners had been assisted by SAPS only after approaching Afriforum. If SAPS could refuse black land owners assistance when their land was being invaded, how much greater would be the problem after EWC had been made constitutional? HGTC and many churches understood and accepted expropriation for land reform but there had to be compensation as outlined similarly by COSATU. Mr Filtane said Rev Meshoe was aware that there was food insecurity in SA under the current farm occupancy. How could food security be the reason for rejecting land reform through EWC and not amending section 25 when current farm owners were not able to give security of food production? If indeed every South African had a right to own land and millions of South Africans remained landless, was it not the obligation of government to expropriate some of the land, thereby enhancing the chances of the many landless to actually own land? Rev Meshoe replied that HGTC was not refusing access to land, but rather that access had to be done legally, orderly and constitutionally otherwise no one’s land was safe. South Africans had to understand that the failure of government to meet its own land reform targets were not due to the Constitution, and section 25 in particular. The failure had been due to corruption and capacity challenges and those were what needed to be addressed. Co-Chairperson Nzimande thanked all the stakeholders for their oral submissions and the meeting was adjourned.